For landlords that need to find tenants fast, there are a few things one can do to encourage tenants during this notoriously slower period. 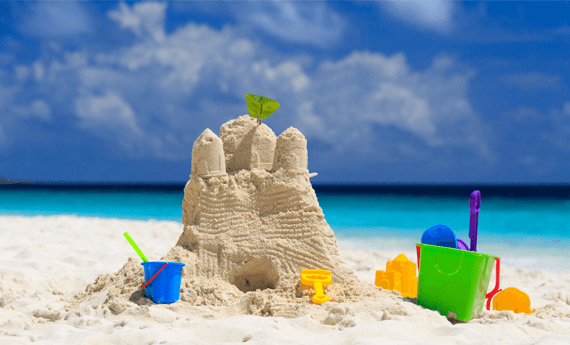 The end of July and August are typically known not to be the best time of year to let a property as most potential tenants are using the summer to enjoy themselves before they start their home search again in September. This is the easiest time of year to take fabulous pictures of your property and entice those September viewers. You’ve got great natural light this time of year (check the weather report before you head out) so throw open the curtains and get the camera out. Check out these tips on how to take the best photos of your property. Turn on the lamps to add natural warmth and the additions of a cushion, throw or fresh flowers really allows those prospective tenants to feel they could easily imagine it their home. If you really want your property to stand out online, I’d recommend investing in a series of professional property photos while the property is clutter free as they really do make the difference when there is an oversupply of vacant properties advertised on Rightmove and Zoopla. For landlords keen on keeping their properties filled now, an adjustment in the rental price of around 5% is financially worth it in the long run – an extra month spent advertising with no tenant in situ, will affect your pocket a lot more than that price amendment. What’s more, the house will be occupied, rent will be coming in, bills will be paid and you will have no further worry – there is always an opportunity for a rent increase after the 6 month fixed term! That feeling of satisfaction that things are running smoothly with your rental property has to be better than that sinking feeling over the sangria that you’re still without a tenant. Prepare your property, prepare your advert, prepare your calendar and most of all prepare your next fixed term tenancy to expire in a busier tenant time of the year. If you know that your current tenants are vacating in the summer then you could utilise this time to either make improvements or repairs to the property. It’s never easy to get the boiler serviced or check the guttering when you’re relying on the tenant to open the door, so take the hassle out of the annual repairs and schedule them for the summer periods when it might be quieter and easier to access. And if worries over rent are what’s keeping you up at night, don’t forget, we offer a Guaranteed Rent and Rent on Time service too! So while the tenants are away why not give me or a member of the landlord team a call and see if we can help you find tenants quicker than you can say ‘Bon Voyage’. To find tenants fast, here are a few things landlords should consider to help reduce void periods during the slower summer months. The flat?. Cost for viewings? Also what about dds?